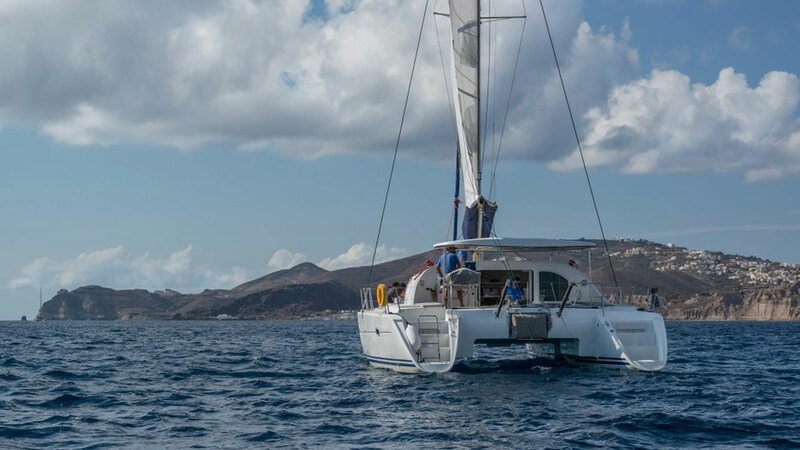 Featuring a fleet of three catamarans more than 40 feet long, Santorini Sailing offers private and semi-private cruises to the Santorini Caldera. 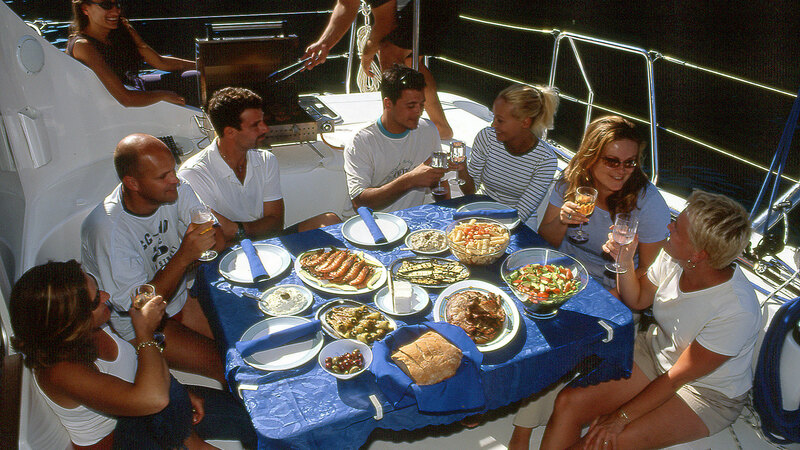 Limited to 10 passengers, the tours include gourmet lunch or dinner with linen table service, featuring local fare such as fresh seafood, prime steaks, pasta and premium wines. 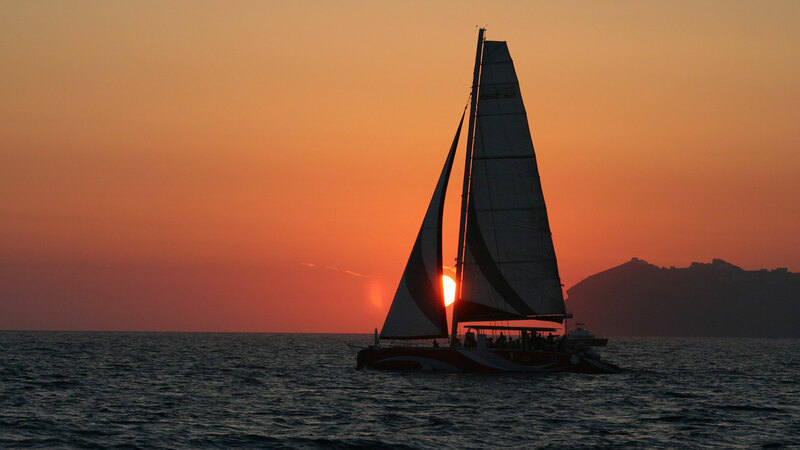 Featured on the Discovery Channel, the Travel Channel and the Food Network, the tour departs from Vlihada Marina, passing along the ancient city of Akrotirien route to the Red and White beaches. 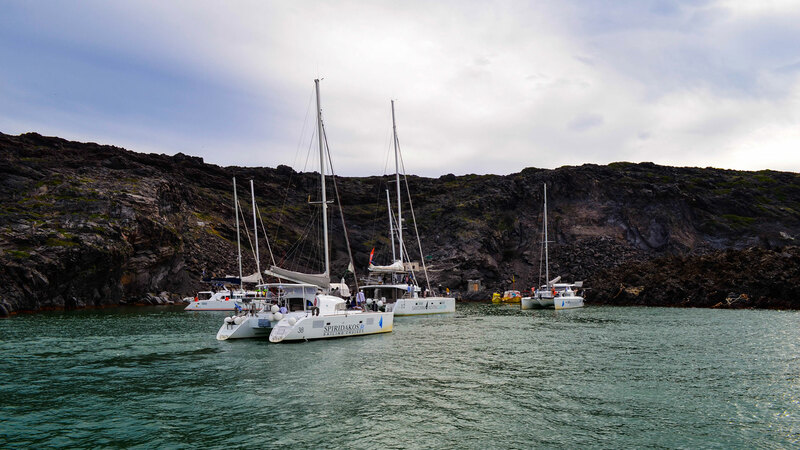 When the Venetian lighthouse comes into view, the five-hour cruise journeys into the caldera, where passengers visit private bays for a swim and snorkel. After a barbecue lunch in the bay, the cruise sets sail past the Aspronisi back to Vlihada Marina. 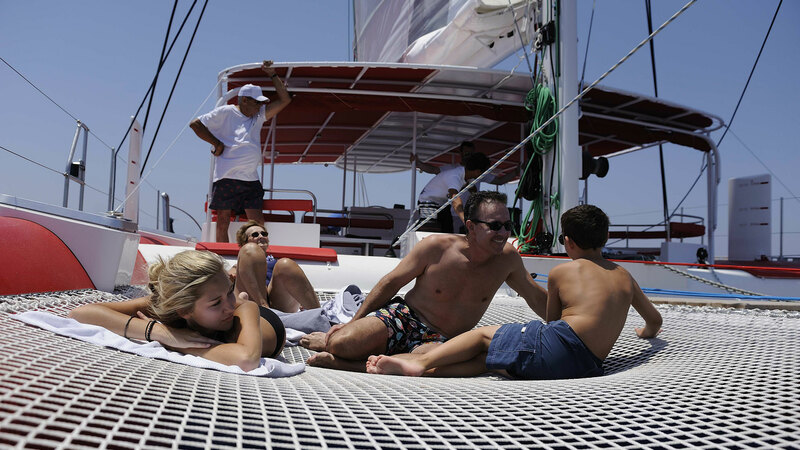 Each catamaran offers numerous amenities, such as expansive deck space, private suites and a panoramic bridge deck.